The copywriting client that comes back again and again. As in any area of business, its one of the greatest testimonials to your ability, the value that you add to a client’s business and their trust in your abilities. Just the other day, I was thinking about the high percentage of my business that comes from existing clients – mainly in Gloucestershire and immediately surrounding counties. My thoughts on the subject were prompted by the completion of a new website for Willison Joinery Ltd, based in Leckhampton, Cheltenham. The new site is the latest in a series of projects I’ve undertaken for Willison Construction over the last couple of years: their main Construction site; a site for roofing business; additions to the main site when they acquired the joinery business;and now, their stand alone bespoke joinery services site. I know from the conversations that I have with the Willison team (and other clients) that one of my attractions (apart from copywriting ability and sensible prices) is the attentive local service that I offer. It amuses me to read the ‘cookie-cutter’ regional web pages from copywriters based in other parts of the UK with their claims that ‘you don’t need a local copywriter’, that everything can be done over the phone and internet, and that you shouldn’t limit yourself to a copywriter in Gloucestershire, Surrey, London or wherever just because of their local presence. Of course you shouldn’t – in some circumstances. But my experience and the words of my clients, several of them respected agencies dealing with major brands, give me a very clear message about the value of working with a local copywriter. Just ask a harassed creative director when he desperately needs to see you at a few hours’ notice: chances are that a London copywriter simply wouldn’t be able to respond in the same way, and for the same project fee. And before anyone protests that ‘he doesn’t know about working at a distance’, please remember that I have serviced projects in London and elsewhere in the UK from Gloucestershire. In fact, my first freelance project was a major one for a leading international agency based in the City. Their client and the project? Only the Metropolitan Police and the small matter of getting a few hundred newsletters written for a few million London households to an incredibly tight deadline. And we did it. But that, and subsequent costing of project enquiries in the South East and northern England, reveals that these are rarely cost-effective to service to the standards that I would want to do so – including the face-to-face fact-find that I believe is so important for many projects. When another long-standing agency client first hired me, one of their reasons was my proximity to their Gloucestershire offices. Interestingly, their previous copywriter was based in the South East and it hadn’t worked out. Go figure. My experience tells me that, all things being equal, an experienced, skilled local Gloucestershire copywriter copywriter offers more than the same level of skills and experience based 150 miles away. And so do my clients. So thank you to all of you! This entry was posted in Uncategorized on January 20, 2011 by alwrites. Client case studies are a great way to let clients or customers tell your sales prospects about the quality of your services. 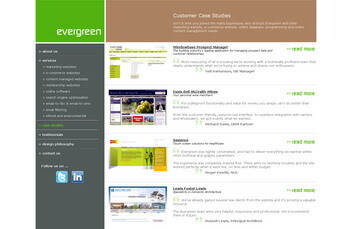 For several years I’ve been doing case study writing for Charfield, Gloucestershire-based Evergreen Computing Ltd. In fact, I’ve written so many that I’ve lost count, but when I looked at the Evergreen site the other day I realised how they’d been adding up – from an online wine business to pet supplies; from specialist databases for the building industry to an RV Sales directory site, I’ve written about them all. Still, it can’t be helped. Andrew and his team are good like that! Well-done guys, it’s a pleasure to work with you. This entry was posted in Uncategorized and tagged case studies, case study writing, client case studies, evergreen computing, Gloucestershire on January 18, 2011 by alwrites. Good things sometimes take a while to come to fruition (or, in the case of websites, ‘go live’). 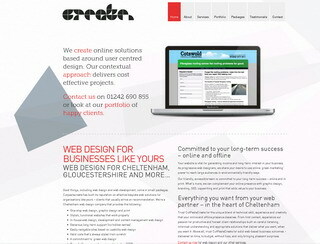 That’s why I was thrilled to see the new Cutpastecreate Ltd ‘Web Design Cheltenham’ site go live at last. I did the SEO copywriting for Ben’s new site a year ago. But as things happen, it’s taken a bit longer than planned for him to finally get the site finished to his usual (high) stanadards. The result is worth waiting for, a clear, stylish, contemporary showcase for Cutpastecreate’s many website and graphic design talents. They’re also exceptionally nice people to work with. I wish you every success with the new site Ben. This entry was posted in Uncategorized and tagged cutpastecreate, web design cheltenham, website design on January 11, 2011 by alwrites. It’s been a while since my last post, a busy month marked by a great new agency client, loads of work for my loyal existing clients and a shedload of the cold and white stuff all over the county. Time then to comment on another great copywriter tool – at least for anyone who wants to stay mobile in the ice and snow, but without resorting to snow tyres. Based on the Norwegian idea of wearing socks over shoes for improved traction in snow or ice, AutoSocks (around £50 a pair for a small hatchback) use advanced microfibres to improve grip. In our experience, they work (but you wouldn’t want to run them on asphalt for long or they’ll shred themselves). AutoSocks are tested and approved by the German Technischer Überwachungs-Verein (TÜV). As well as our positive experience, I understand that several UK road rescue services use the product – I also spoke to a local paramedic who confirmed that Gloucestershire paramedic response cars are equipped with AutoSocks (and enthusiastically extolled their virtues). 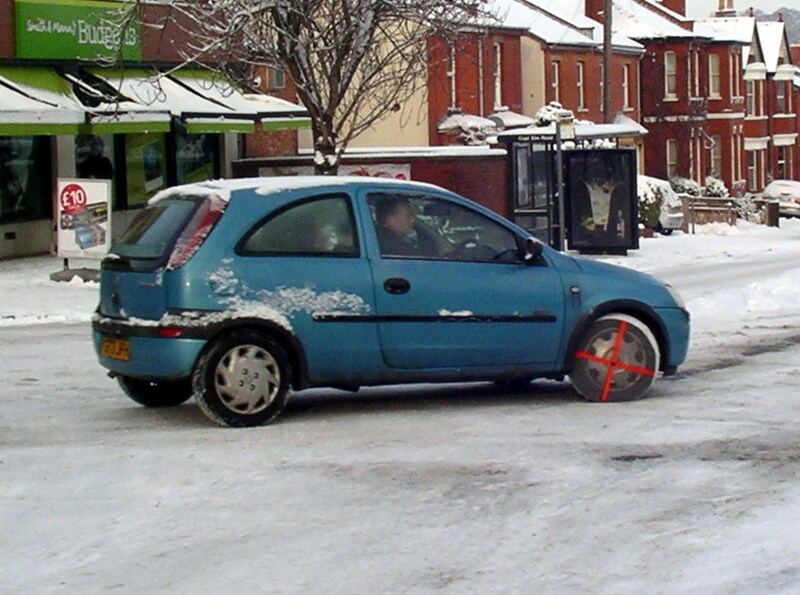 AutoSocks are reasonably easy to fit; you position them over the wheel and tyre as far as you can before rolling the vehicle backward or forwards a couple of feet. Once fitted, they are self-aligning and usable at up to 30 mph. Having now tried AutoSocks on snow and ice, its reassuring to know that they are ready for whatever late-January and February brings. And of course, as is my way with favourite products, I couldn’t help but liken AutoSocks to a reliable Gloucestershire copywriter: great value; there when you need them, backed by great testimonials and a safe bet to do exactly what they promise. Rather like me! Season’s greetings everyone. I hope 2011 is a peaceful and successful year for you. More details are available at the official AutoSock UK site. This entry was posted in Uncategorized and tagged autosock, autosocks, gloucestershire copywriters, ice, snow on January 8, 2011 by alwrites.